New Englander Peter Fairbanks Miller started classical violin training in Boston at age 7. Early recognition of his exceptional musical abilities encouraged him to pursue a career in music. 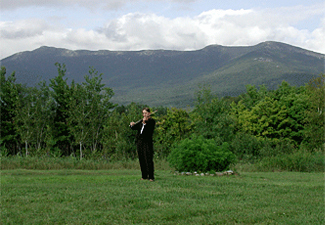 Peter came to peaceful rural Vermont in 1980 and earned a degree in environmental sciences at UVM. 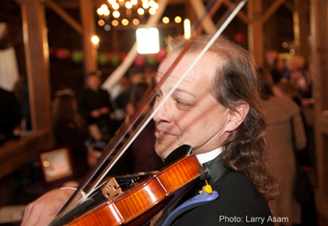 Peter's first performance at a wedding ceremony in 1986 won him respected membership in the Vermont entertainment community. Though he does teach, his stage name of "Professor Fairbanks" was adopted for fun. He is a master of the violin and related instruments, is accomplished in the styles of jazz, classical, rock, folk, and fiddling, and excels as an improvisational musician. He is also known for playing the 6-string electric violin.